An amended casino bill calling for the construction of two commercial casinos in New Hampshire is up for serious consideration. On Tuesday, a bill sponsored by State Senator Lou D’Allesandro (D-Manchester) was approved by 4-1 by committee. 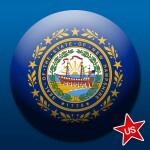 The new proposal calls for two casinos to be built in New Hampshire. This stands as a firm contrast to previous bills, which only called for one casino to be built within the state’s confines. 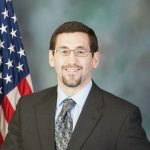 D’Allesandro stated that the reasoning behind the change was that the state was “criticized for having only one license.” By allowing for two licenses, the state is promoting a healthier level of competition. That said, one of the two casinos would house significantly more games than the other. According to the bill, the larger casino would host upwards of 3,500 slot machines and 160 table games, while the secondary casino would only feature roughly half of those amounts. Poker would be hosted among the table games, and taxed at the same 14 percent rate. The new bill sits alongside a previous iteration of the bill; one that only calls for one casino. The older bill failed to pass through legislative committee in 2013. D’Allesandro’s bill reportedly stands a better chance of passing through the casino friendly Senate than the House of Representatives. The Senator has vocally expressed his disappointment with the House, stating that it hasn’t followed in the tradition of open and thorough debate . His sentiments were recorded last May, shortly after the previous senate bill was rejected. New Hampshire anti-gambling contingent is concerned that widespread casino expansion could have an ill-effect on New England culture. That said, the state’s legislators are undoubtedly feeling pressure from nearby Massachusetts to launch a gambling industry of its own, if only to attract tourists. Massachusetts casino interests, including Caesars Entertainment and Wynn Resorts, have been vying for a stake in the state’s emergent gambling industry for some time, with many industry experts believing that the Bay State could become the largest gambling hub in the US outside of Las Vegas. The state’s voters have voiced their concerns, with some believing the people should have had more of a say in the matter. 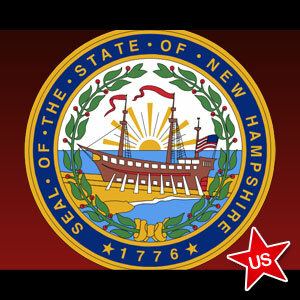 We’ll keep you posted on the progress of New Hampshire’s Senate Bill 366 and its companion House Bill 1633, meanwhile, check our New Hampshire poker page.